With many potential community partners and a diverse student population, the metropolitan university has many opportunities to operationalize transformative learning, which involves a dramatic shift in one’s assumptions that has a lasting change on their perspectives. The challenge of identifying transformative learning initiatives and making these initiatives take hold across a campus requires administrative direction and faculty buy-in. A teaching and learning center (TLC) can guide and sustain such transformation by providing the pedagogical expertise to identify and evaluate transformative learning initiatives, offering a collaborative forum for implementing these initiatives, and serving as an embedded structure to protect initiatives over time. The literature on organizational change in higher education and transformative learning has not yet explored the role TLCs can have in these areas. This article offers a narrative of how a TLC promoted transformative learning through two initiatives: creating a Universal Design for Learning (UDL) initiative to had better include diverse learners, and increasing community engagement through collaborative interactions with the university’s new Experiential Learning Center. This manuscript offers guidelines on leading, directly and collaboratively, such initiatives in a sustainable way, to assist other TLCs in meeting similar goals at their own metropolitan institutions. Judith Ableser is the Director of the Center for Excellence in Teaching and Learning (CETL) at Oakland University. Her PhD is in Curriculum and Instruction from Wayne State University. Prior to serving as Director of CETL, she was an Associate Professor in Teacher Education focusing on meeting diverse learning needs of students and evidence-based practices in teaching and learning. Christina Moore is the Virtual Faculty Developer at CETL at Oakland University. Her undergraduate and graduate degrees are in English from Oakland University. Prior to her role at CETL, she was a Special Lecturer in Writing and Rhetoric. She has published in areas of learning technology, high impact practices, and teaching writing in higher education. Brookfield, S. (2016). 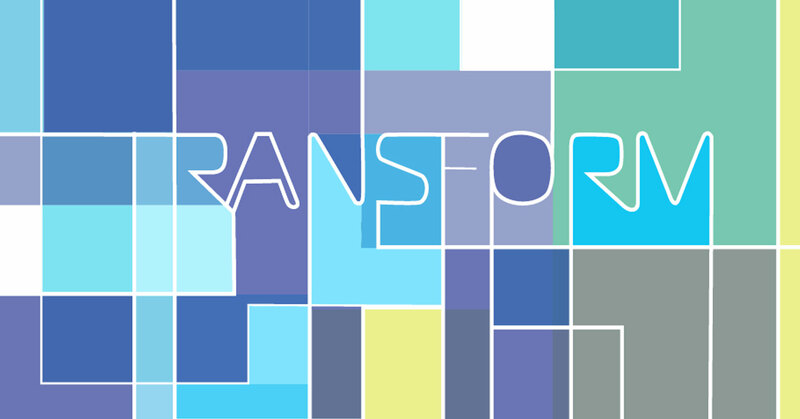 [keynote address] Transformative Learning Conference. University of Central Oklahoma. Butin, D. W. (2011). Service-learning as an intellectual movement: The need for an “academic home” and critique for the community engagement movement. In T. Stewart & N. Webster (Eds. ), Problematizing service-learning: Critical reflections for development and action. (19-35). Charlotte, NC: Information Age Publishing. Castañeda, M. (2008). Transformative learning through community engagement. Latino Studies, 6(3), 319-326. Cranton, P. (2006) Understanding and Promoting Transformative Learning: A Guide for Educators of Adults (2nd ed.). San Francisco, CA: John Wiley & Sons, Inc.
Cranton, P., & King, K. P. (2003). Transformative learning as a professional development goal. New Directions for Adult and Continuing Education, 98, 31-37. Higbee, J. (2008) “Institutional transformation: Some concluding thoughts” in Goff, E., & Higbee, J. L. (Eds.). (2008). Pedagogy and student services for institutional transformation: Implementing universal design in higher education. Minneapolis: Center for Research on Developmental Education and Urban Literacy, University of Minnesota. Higbee, J., Bruch, P., & Siaka, K. (2008) “Disability and diversity: Results from the multicultural awareness project for institutional transformation” in Goff, E., & Higbee, J. L. (Eds.). (2008). Pedagogy and student services for institutional transformation: Implementing universal design in higher education. Minneapolis: Center for Research on Developmental Education and Urban Literacy, University of Minnesota. Higbee, J. L. & Goff, E., (Eds.). (2008). Pedagogy and student services for institutional transformation: Implementing universal design in higher education. Minneapolis: Center for Research on Developmental Education and Urban Literacy, University of Minnesota. Kezar, A. (2014). How colleges change. New York: Routledge. Kolb, D (1984). Experiential Learning as the Science of Learning and Development. Englewood Cliffs, NJ: Prentice Hall. Krause, K. D. (2011). Transforming the learning experience to engage students. In L. Thomas & M. Tight (Eds. ), Institutional transformation to engage a diverse student body. (199-212). Bingley, United Kingdom: Emerald Books. Levkoe, C. Z., Brail, S., & Daniere, A. (2014). Engaged pedagogy and transformative learning in graduate education: A service-learning case study. Canadian Journal Of Higher Education, 44(3), 68-85. Thomas, L. (2011). Institutional transformation to mainstream diversity. In L. Thomas & M. Tight (Eds. ), Institutional transformation to engage a diverse student body. (77-96). Bingley, United Kingdom: Emerald Books. University of Central Oklahoma. (2016). Center for Excellence in Transformative Teaching and Learning. Retrieved from http://www.uco.edu/academic-affairs/cettl/cettl-tl/index.asp. Vidaček-Hainš, V., Divjak, B., & R. Horvatek. (2011). Mainstreaming blended learning to enhance the access, learning and retention of students from equity groups. In L. Thomas & M. Tight (Eds. ), Institutional transformation to engage a diverse student body. (235-243). Bingley, United Kingdom: Emerald Books.